A grave near the old Mormon trail in the Afton Canyon area. A note was found in an amber bottle on the grave that stated, "December 27, 1872, to whom it may concern: died this day of sickness; too far to travel so will put her here. Bonnie Keebler Harris, born December 1823 in New York, mother of five children. God rest her soul." 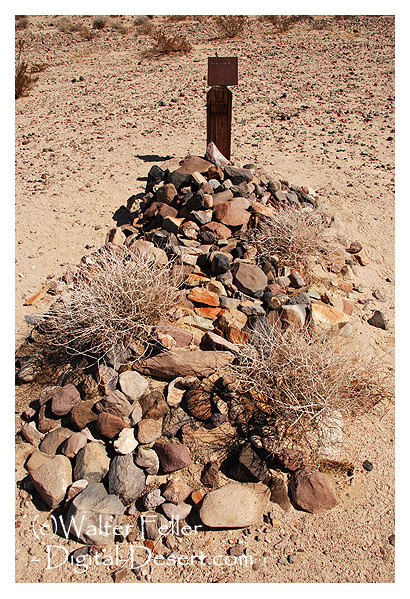 The gravesite was discovered in 1997 by Joe Pizzitola and in December of that year members of the Mojave River Valley Museum placed a permanent grave marker here.